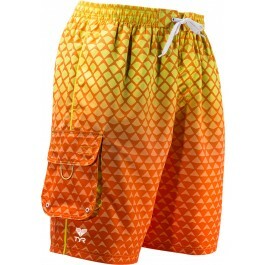 Enjoy a day in the water with the TYR Men's Merman Challenger Trunks. The SBMM5A showcases 100% Nylon construction for both comfort and accelerated dry time. Engineered for casual and active use, the Challenger Trunks feature an elastic waistband with drawstring closure, as well as a hook and loop side velcro pocket for small storage. 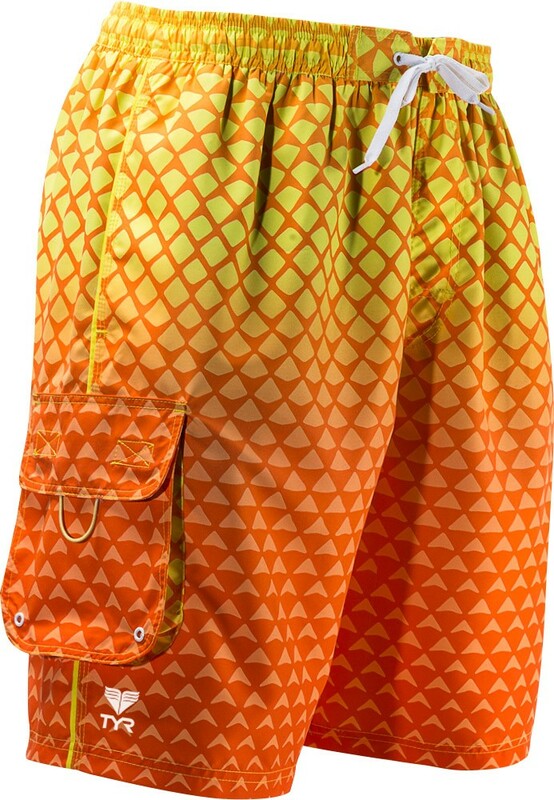 A 9.5" inseam allows for added leg coverage, while a built-in boxer style liner provides support. The TYR Men's Merman Challenger Trunk is offered in two vibrant color options. 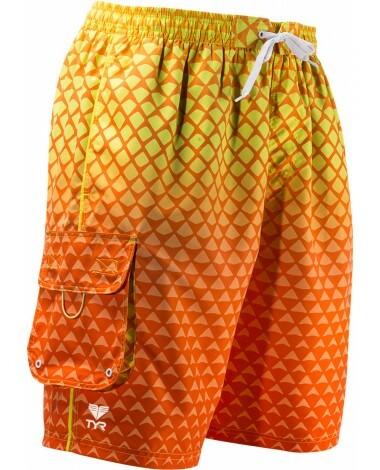 The swim trunks are the best I have bought for my husband. I will continue to buy only TYR swimsuits. I got these for my son and he loves them. It has a built in underwear that he likes a lot. He plans on running & going to the pool with them. He loves the texture & the color is perfect. Q: Is the liner more like a jammer? A: Yes, as it is a compressed boxer fit.